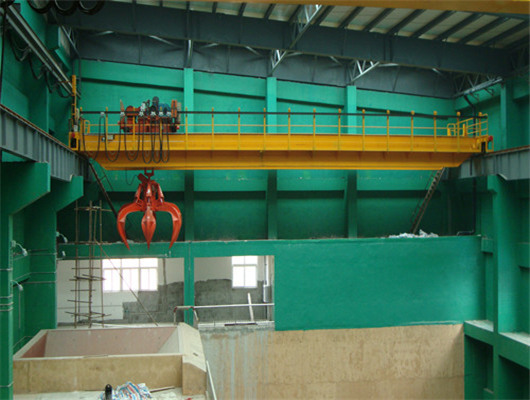 Single girder eot crane is the small-size lifting equipment which is widely used all kinds working places. The beam of the single girder overhead crane mostly adopts I-section steel or combination section of steel type and steel plate. 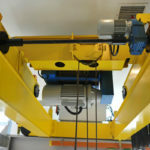 The lifting trolley is often assembled with a chain hoist, electric hoist, or hoist as a lifting mechanism component. According to the way of the bridge, it is divided into two models of supporting type and suspension type. The supporting type bridge runs along the crane track on the beam, and the suspended type bridge moves along the crane track that hangs under the house frame. 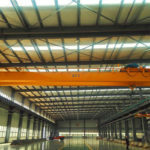 The single girder overhead cranes our company produces are widely used for handling lifting processes and the connection of block-shaped and cylindrical magnetically conductive steel materials, mechanical mold processing, warehouse and other equipment, which can greatly improve the efficiency of loading and unloading goods. It is an ideal lifting tool for various industries such as docks, warehouses, transportation, factories, etc. Electric hoists are generally installed on single-girder cranes, bridge cranes, gantry cranes, and overhead cranes. Of course, Weihua can produce these crane equipment. Through slightly modifying, it can also be used as a winch. Therefore, it is an indispensable mechanism for improving labor efficiency and working conditions. Cranes are the main equipment for construction sites and many other working places. Due to the need for high-level operations, its quality is crucial to daily work, which will directly affects the normal work and the safety and health of operators. We adopt standard design according to national requirement. The trolley travelling speed of crane is 3 to 30m/min with frequency conversion. The crab standard travelling speed of crane is 2 to 20m/min with frequency conversion. Apart from the standard speed, there are all kinds of optional levels of lifting speed. 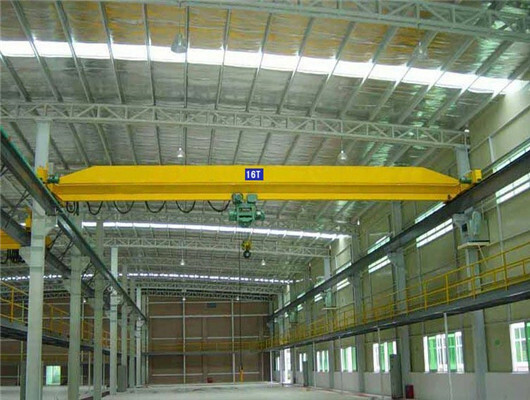 According to different requirements, the lifting capacity of overhead cranes has different specification and design. The working group is relatively high. According to the utilization and loading condition, there are two controlling methods with group control and remote controller. Of course, you can combine into control of the two. If you wan to learn more detailed information, you can carefully read the technical specification. If you want to purchase or order the products out of the range, you can contact us as soon as possible. We can supply customers with special customization from all over the world. As the demands of the crane market, our company also meets some customers’ non-standard design and gives reasonable advice. 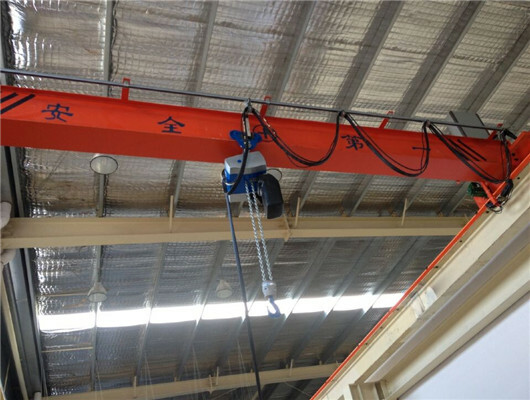 LD model single beam overhead crane is a small-size lifting equipment with reasonable structure and higher steel. It can meet various demands for customers. Especially for loading and unloading light materials, owing to light weight and reasonable structure, the light crane can be suitable for all kinds of sites. It is widely used in the warehouses, materials and factories. Generally, it can work in harsh environment at the temperature of -25 to +40 degrees. However, it can’t work some places with the combustible and explosive environment. The product has two optional ways including ground controlling and operational room. According to different conditions, clients can choose reasonable operation room. Its lifting capacity is 1t to 3ot. The crane span is 7.5 to 31.5 meters. If you want to learn more about it or customize special product, you can contact us as soon as possible. 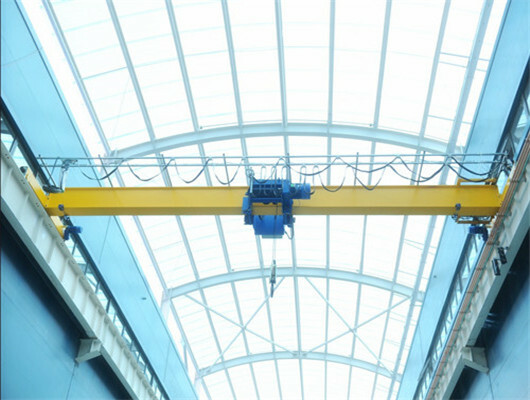 The overhead crane regards as a large piece of lifting equipment and its technical safety performance can not be ignored. For the structural characteristics of bridge cranes and safety requirements for lifting operations, special inspections mainly include assembly, hydraulic, electrical, component inspection, and operation monitoring. Generally, other company’s products may occur some factors of various aspects. For example, there is a deviation in the geometry and dimensions for the newly machined components. In the initial period of usage, due to the impact such as vibration and loading condition, it can affect the product’s productivity. In terms of the influence of heat, deformation, etc, it can reduce the production process of work. Owing to excessive wear, it is easy to loosen the originally fastened parts that needs tools such as wrenches which are often used for inspection and reinforcement. However, by a series of reforms and maintenance, it not only reduces product’s service life, but also consumes a lot of manpower and material resources. 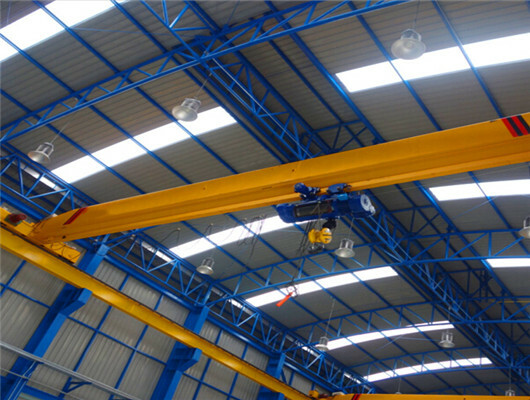 Our single girder eot crane has many advantages with compact structure, good performance, strong rigidity, delicate operation, low noise, safety and reliability. In addition, the product has beautiful exterior. 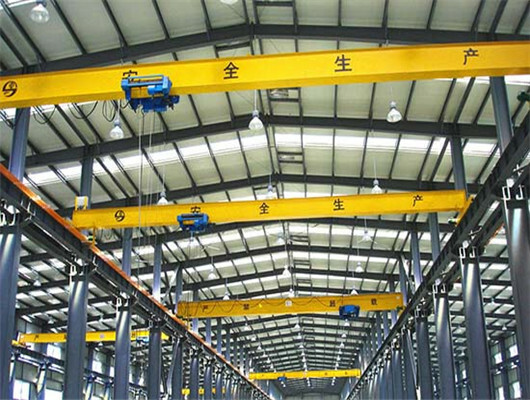 If you want to purchase high quality overhead crane, why not choose Weihua ? Our company focuses on the development needs of crane equipment and on supplier management of all products. In addition, we service advanced technology applications and development decision. We have established a single girder eot crane platform for deep communication and cooperation among crane customers with professional and solid technical experience. The products adopt information resources with high-quality system. On the one hand, our group opens some flexible high-quality platforms. On the other hand, we provide professional intellectual services and support for the cooperation and development of our partners. Some of the old bridge cranes are limited by the traditional design concept. The product has heavy weight, and the manufacturing cost is too high. In addition, the operation energy consumption is high. However, our company’s team adopts modern design theory and scientific methods that carry out lightweight design of traditional products, which can achieve the purpose of energy saving, material saving, and power saving. It is one of the key tasks for upgrade of general overhead crane products. Only if the product design and quality keep pace with the times, we are not afraid of being eliminated by society. According to different structure form, there are divided in to single girder model and double girder model. 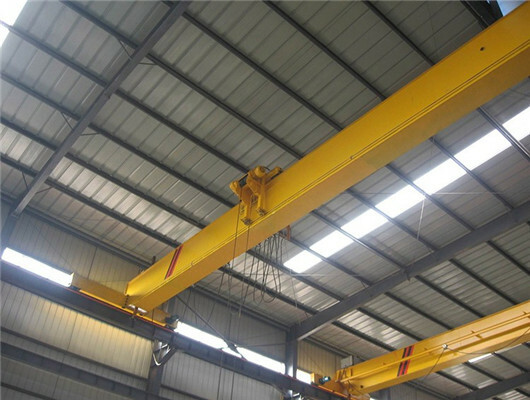 Generally, compared with double beam crane, the single beam has light weight and simple structure, which can make operator easily install its parts. Although the main beam of double girder crane has two, it can sustain more supporting power. The crab travelling and trolley travelling mechanism can run along the corresponding track. All in all, the two structure has different advantages. The lifting height and span have different standards. If you want to buy the one or the two types, we can give you some reasonable advice. Don’t hesitate it. When you meet Weihua , you will find out more surprises. Our company’s products have been delivered to more than 60 countries and regions. We can supply you from all over the world with all kind s of crane equipment. Especially for the single girder eot crane, we will give you reasonable discount. 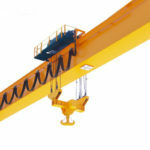 If you have some needs about the cranes, you can get in touch with us.